Welcome to my weekly meal planning post. Each week I share my intentions for feeding my family for the upcoming week. I take time each Sunday night to get organized and plan out a menu of mostly "real food" items, in an attempt for all of us to eat healthier. In the end, when we follow the plan, we do eat healthier and we save money too. 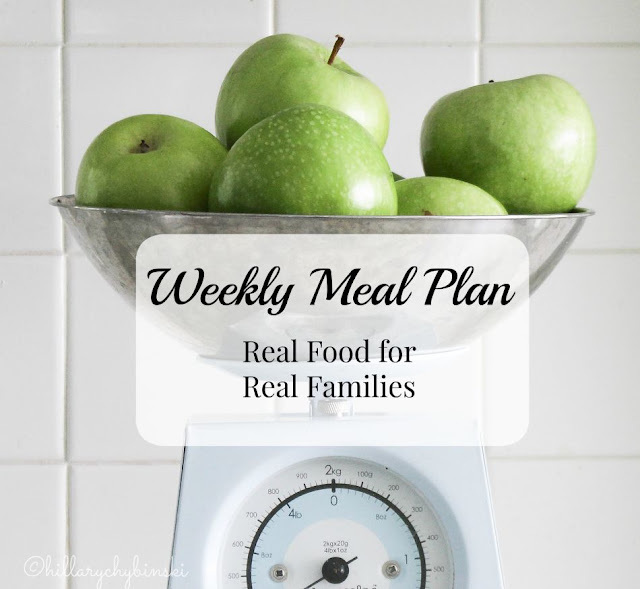 I hope you take away some ideas and inspiration for your own weekly meal plan. This week, I start the week off in NYC, so the guys are on their own. Also going on this week, both kids' LAX seasons spring into gear, so I'm anticipating a busy week. But the bright side is three days in the 60s! Monday - Mom's home from NYC - maybe Dad will cook! What's on your meal plan this week? Don't forget to join me over on Facebook to talk about your own weekly meal plan! Let us know if you find a good broccoli cheese soup recipe. That sounds delicious!